On March 8th we celebrate the International Women’s day, that is the perfect opportunity to visit Florence. Many events and parties will take place in Florence, as well as all around Italy. Don’t miss out on initiatives organized by the Ministry of Cultural Heritage and Activities, that on Saturday 6 March and Sunday 7 March 2010 offers free entrance tickets for women to all State museums, archeological parks and monuments. 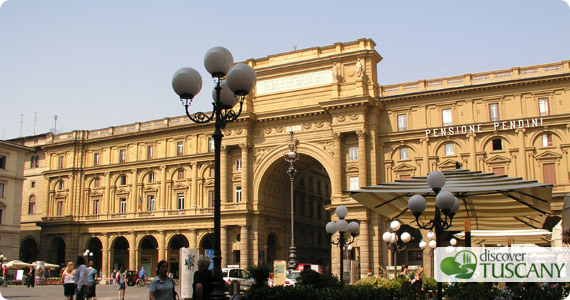 On the official website of the Ministry of Cultural Heritage and Activities you find a list of all free museums and monuments in Florence, such as the Uffizi Gallery, the Medici Chapels and the Academy Gallery. We’d like to remind you the new art exhibit at Palazzo Strozzi in Florence “De Chirico, Max Ernst, Magritte, Balthus – A look into the invisible” that really deserve a visit. On Women’s Day and the weekend before there are many events and parties. If you are planning to visit Florence those days, we suggest you book one comfortable bed and breakfast in the historical center or a relaxing farmhouse near Florence through the guide FlorenceAccommodation.com . Women’s day celebration or holiday, every excuse is good to visit Florence!